“Tumhare and tumhare papa dono ki choice bahut buri hai” (Both you and your dad have terrible choices). This is what Neelu (Shreya Shah) tells Sandhya (Shweta Tripathi) when the latter is at her lowest moment. They have an unusual relationship: Neelu is Sandhya’s father’s lover but Sandhya hasn’t accepted her as anything. Despite the young girl’s misgivings, Neelu is nurturing and more aware of Sandhya’s deep secrets than her father could ever hope to be. It’s a shockingly human moment that comes late in Shlok Sharma’s Haraamkhor. Shocking because of how understated and genuinely tender it is, in what is often a grim and disturbing picture. In this rustic world of dark dalliances, the only solace Sandhya can take in her mistakes is that everyone makes them. Haraamkhor is a film diffused with such small moments, people living on the edges trying to make the best of a bad place and a bad situation. There are the two show-stealing kids Kamal (Irfan Khan) and Mintu (Mohd Samad) who goof around the central story until they are tragically pulled into the muck. Kamal nurses a broken arm and a crush on Sandhya, making grand ploys for her attention even though he knows all about her affair with their math teacher Shyam (Nawazuddin Siddiqui). The exploitative relationship that develops between student and teacher is both ghastly and organic; Shyam has a pattern for abusing his students while Sandhya is starving for attention in a broken home. Nawaz continues to shine in the latest of a series of grey, morally dubious characters. 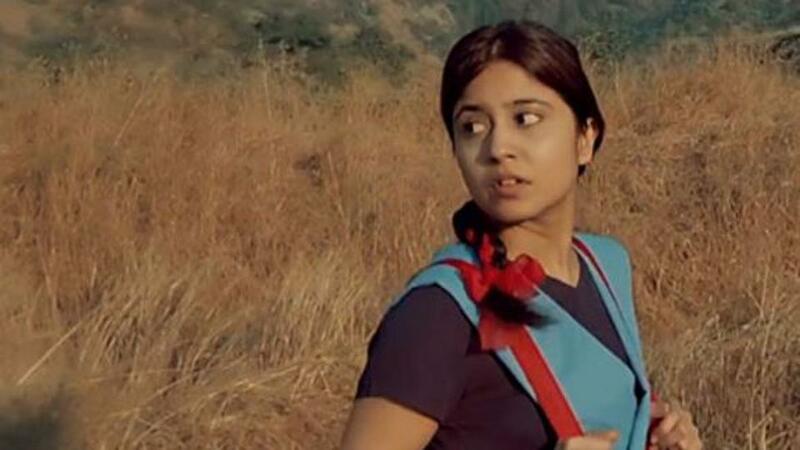 Shweta Tripathi shot this film before her official debut Masaan and in 16 days no less. She commands the screen playing a school girl half her age (the then 27 year old plays 14) and adds layers of nuance to what could easily have become a naïve victim cliché. The real locations (shot in Gujarat, but set in Madhya Pradesh) that form the film’s backdrop and Siddarth Diwan’s cinematography are remarkable. Diwan shoots the film on grainy, gorgeous 16 mm and along with Sharma’s irreverent storytelling makes the film look like an 80s art house artifact that has just been unearthed. Shlok Sharma has made a daring debut choosing to focus on a subject not many touch upon and even fewer delve into. The arduous battles the film has faced with the censor board and distribution are testament to this. You weren’t supposed to see Haraamkhor, but now you can.